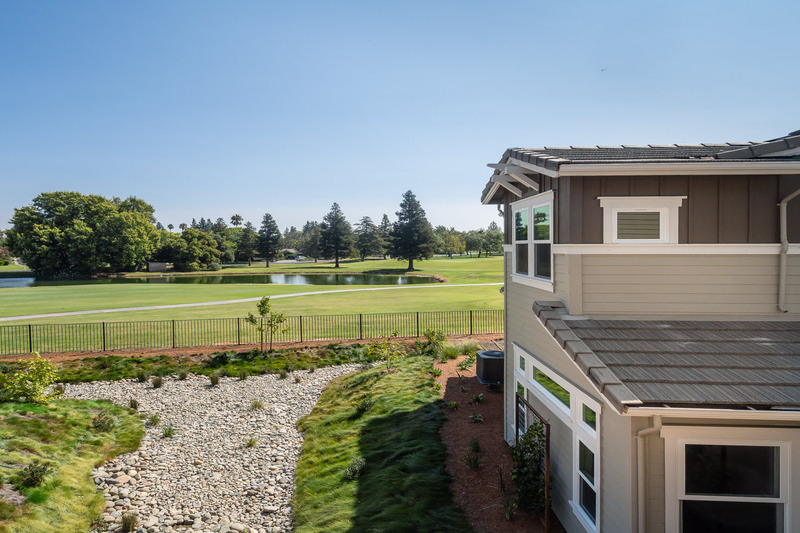 The Villas at El Macero offers a premier location on a championship golf course—a turnkey luxury home within a beautiful, established community. Imagine mornings watching sunrise over the pond, enjoying a cup of coffee on your private patio. Envision days playing golf, walking to the club, and visiting with friends. And feel confident you can leave your home safe and sound when you travel for short trips and long adventures. These high-end condominiums come with top of the line finishes and signature home design features. Homeowners enjoy the opportunity to have a golf membership in the El Macero Country Club. This is living the good life! Expansive views of the 3rd tee box, the 2nd green and fairway, the pond on the 12th hole or the 12th green, depending on your location. No Mello Roos taxes for infrastructure improvements. Thoughtfully crafted CC&Rs to protect your investment for years to come. Modest Homeowners dues to maintain the exterior of your new home. Easy access to Hwy 80 and just a short drive to downtown Davis and Sacramento. Bicycle and pedestrian connectivity to UC Davis, shopping, schools, recreation, downtown and the Davis greenbelt system.